What an earthy combination this is – the Taurus man and Virgo woman, both earth signs, have a great deal in common. Is that enough to see them through a committed relationship, or will Taurus man Virgo woman compatibility prove that you can have too much of a good thing? When they’re in love, the Taurus man and Virgo woman make a quiet and unassuming but deeply loyal partnership. He admires the Virgo woman’s intelligence, and she admires the Taurus man’s determination and inner strength. They are both solid, dependable, practical people, and if they decide they want to be together, nothing on earth will stop them. Taurus man Virgo woman compatibility can be as strong as the couple want it to be – but it also has some unavoidable cracks. The Virgo woman is highly critical, both of herself and her partner. Although he’s a patient guy, the Taurus man will eventually find this highly irritating. He doesn’t understand why she can’t just leave things be; why the desire to always improve everything? For her part, the Virgo woman will come to realise that the strength she so loves in her Taurus man also translates into stubbornness, and resistance to her gently suggested changes. She cannot mould him, and the more she tries the more he resists. Taurus man Virgo woman compatibility revolves around how well the couple handle this balance between change and stability. Taurus is a fixed sign, while Virgo is a mutable sign. It’s always going to be the Virgo woman who has to give in, adapt and work out a compromise here. For the most part, she will do so with good grace, since she’s adept at flexibility and she doesn’t really mind fitting in with her lover. The Virgo woman has no trace of an ego problem, which helps her adapt to her Taurus man’s refusal to budge. However, Taurus man Virgo woman compatibility problems can emerge if the Taurus man takes the Virgo woman for granted for too long. Resentment can slowly build in this relationship for a variety of reasons – whether it’s the Virgo woman tiring of being met with a blank wall, or the Taurus man tiring of being shaped and advised and “helped”. 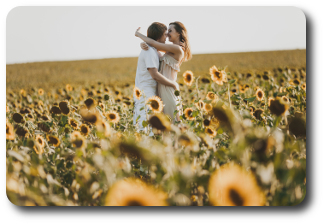 Dramatic rows will be few and far between, since neither partner has a huge temper – but the undercurrents of bitterness can instead be far more damaging to the Taurus man Virgo woman long term compatibility. When the relationship is going well, the Taurus man and Virgo woman enjoy a deep but understated love which only they will truly understand. Others may find them too quiet or too self-absorbed, or might wonder why they’re not bored by each other. That, however, is other people’s problem, not the problem of this down to earth couple. They certainly won’t be bored of each other, but they’re not the most spontaneous of couples and may need reminding every now and then to do something fun and different. If the relationship comes under pressure, however, neither the Taurus man’s loyalty nor the Virgo woman’s devotion will be enough to completely salvage it. Although they may love one another deeply, this couple may ultimately realize that their needs are best met by other partners. The Taurus man needs someone a little less perfectionist, and the Virgo woman needs someone a little more intellectual. Nonetheless, Taurus man Virgo woman compatibility remains strong, and even if they do part, this couple are likely to remain good friends and on good terms.